It seems a new trend is about to pop up for spring 2015. Runways lately have been graced with lot of boots and booties in very funky and crazy designs. Are funky boots and booties going to be a trend for Spring 2015? According to Bustle and other fashion publications, yes. There might be something to this especially when you see some of the new offerings from shoe designers. So if you like to be completely different from the pack and stand out, 2015 may be the year for you.  We’ve already covered some of the spring and summer 2015 fashion trends. But this is a new one that it seems to be forming at the moment. And it seems interesting. Christian Louboutin is once again in the front seats of this new trend. The designer has released the new Nail Booty that are covered in fake (hopefully) red nails. The boots are made out of suede and feature 12 cm high heels with no platform. They are quite pricey though, reaching nearly 2700 dollars a pair. Manolo Blahnik also has a whole new collection with funky styles. Some of the more daring designs are Bratti and Aduarhi. The frist are blue ankle suede booties with black pointy leather toes. The second ones are black leather thigh high boots with studs on the side. Sadly there aren’t any real good pictures of them, but you can check them out (sort of) on Manolo’s site. 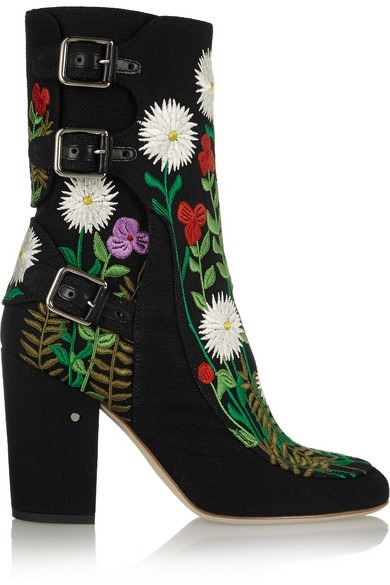 If you are up for something more girly, you can check out Laurence Dacade Merli Floral-Embroidered Canvas Ankle Boots (phew, what a name!). These booties feature lots of embroidered motives, flowers, plants and etc. They are made out of suede and are propped by 4-inch (10 cm) chunky high heels. They are a bit pricey at 1220 dollars. 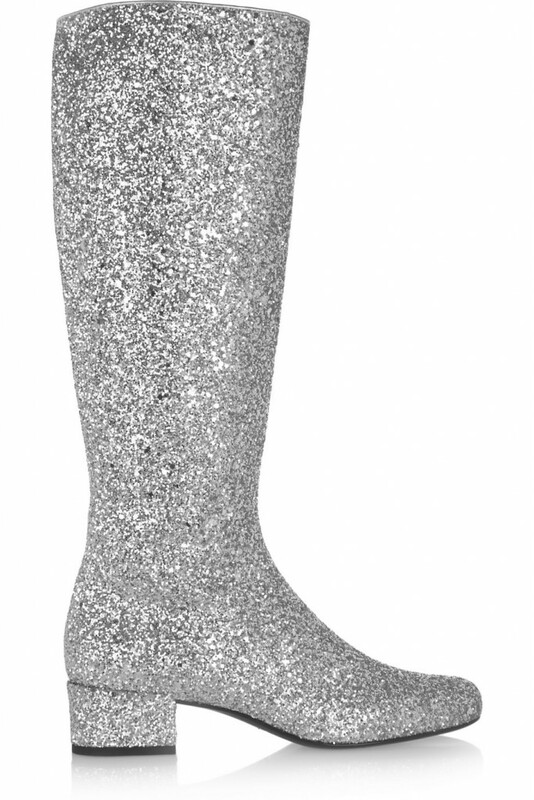 Believe it or not glitter boots are also in style according to this new trend. Saint Laurent Glitter Leather boots are a prime example of that. Granted, these are not really boots for the office and even for daily casual outfits despite their comfortable 1.5-inch (4 cm) chunky low high heels. But if you pair the boots with a black jersey dress for example, you may look quite good for a night out. 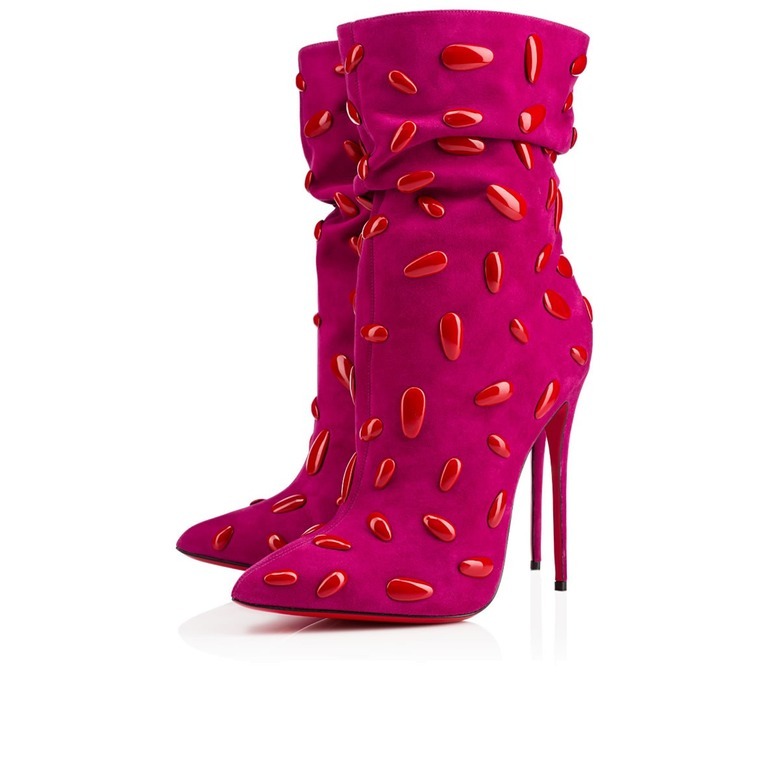 The good thing about this new trend is that basically all kinds of funky and qurky boots and booties will be in style during spring 2015. So even if you don’t really like the examples above, you can easily find almost anything else that will do the trick.